One of the perks of living in DC is the international flair. Every year or so, the different embassies hold open houses and let the public come in for tours. They also usually put out little treats. 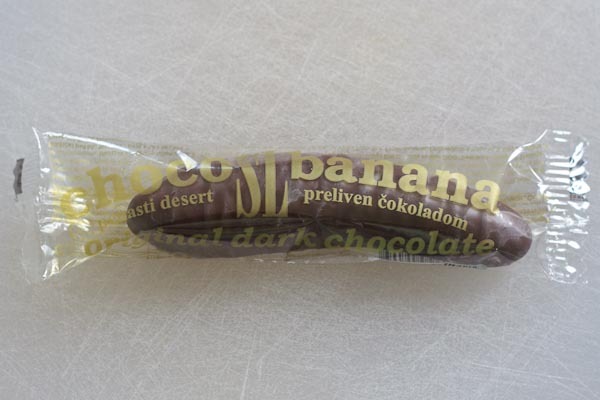 While the rums & cokes from were awesome, I really loved these choco-banana candies from the Serbian Embassy. After doing a little bit of Internet research, it looks like they are made by Takovo SwissLion. 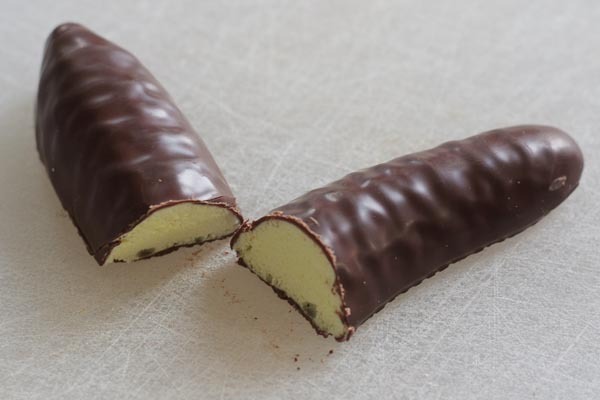 They have a fluffy banana center and are dipped in chocolate. Unfortunately I haven’t seen them in stores, but I did come across a distributor who had them at the Fancy Food Show. Does anyone know where to find them in the DC area? Choco Bananas are my favorite treat. Like Elizabeth said the best ones are made by “Å tark”, all others are copies. On my blog you have the recipe if you want to make them at home. http://moje-grne.com/2009/02/07/krem-bananice/ They are not as same as the original but it’s worth trying. I would love to have this recipe translated to English…I think my husband, who was born in Yugoslavia would love these and I would like to surprise him. Thank you.